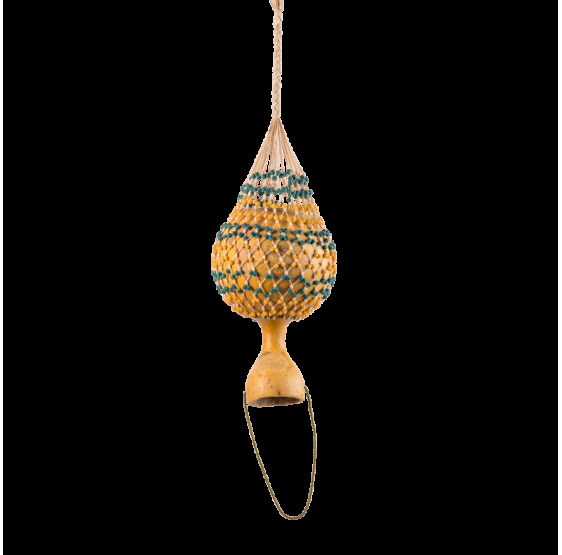 An atmospheric instrument that is very well-known in Mali, the glass beads hit and rub against the emptied calabash gourd. 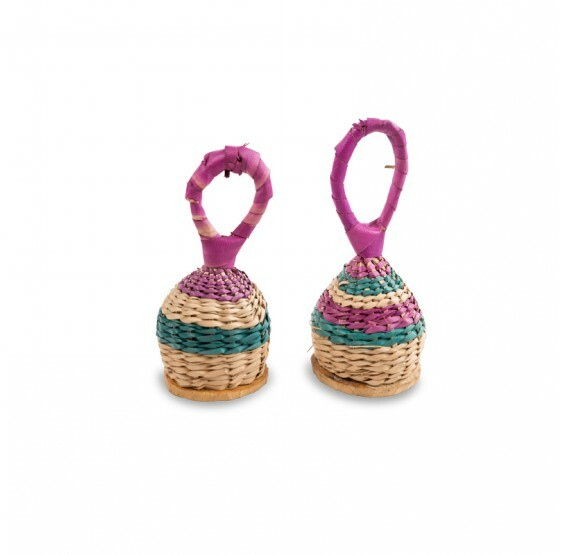 Played with two hands; one holding the gourd and the other holding the end of the bag of beads. An atmospheric instrument. Can be played alone or as a pair. 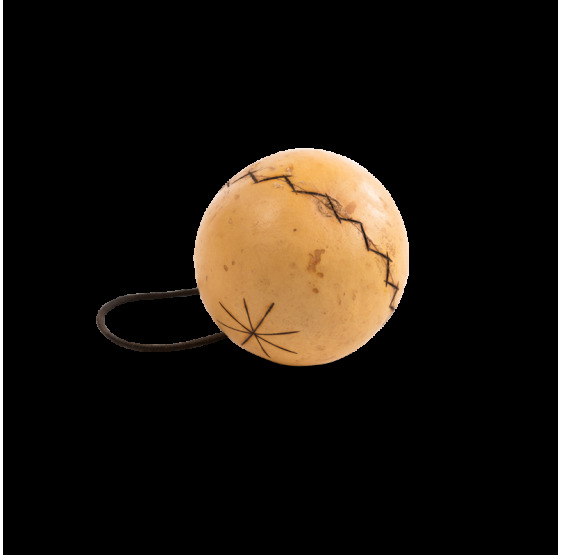 A pair of two fruits joined by a rope. These fruits are filled with seeds and are played with one or two hands. The rope is passed between the fingers and the rocking of the wrist makes the fruits collide. 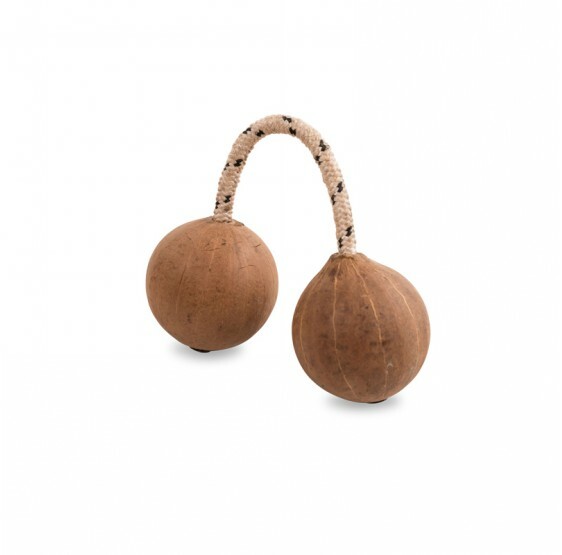 Accompanying Instrument, sold in pairs. It is played with one in each hand. The seeds inside the woven basket hit the base made from a calabash gourd. Slit drum, also known as Krine; this is the oldest known drum. 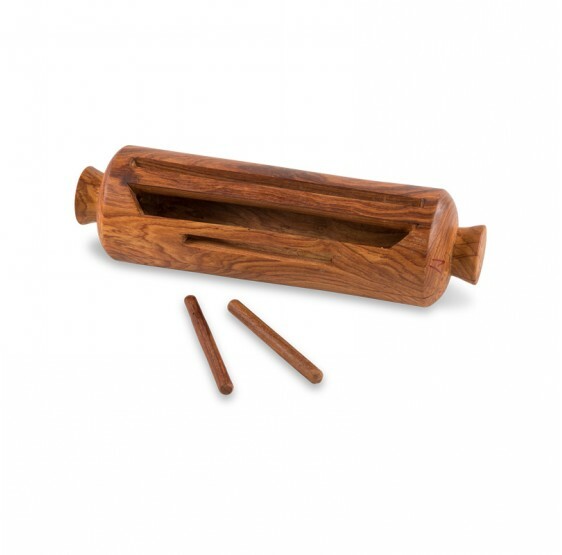 It is a hollow wooden log with two slits. Using two sticks, the musician can produce various sounds depending on where he hits. Before the advent of telephone, this instrument, whose sound travels a long way, allowed communication between villages.